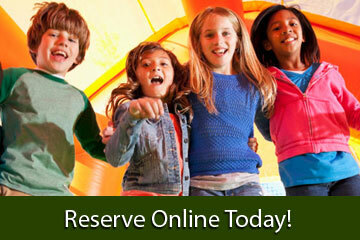 Making your party and event reservations at BouncingBuddies.com is fast and easy with our new online reservations system. Just click the link below and enter the date and times of your event. Then as you browse through the website you will be presented with only those items available on your date. You can also just explore all the categories and as you see items that are perfect for your party, just click the "Add to Cart" button on every product page, and build your party that way. That's it! It's easy as one, two, three! Let's get your party started now! 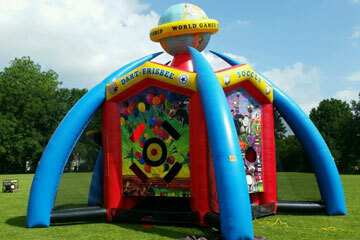 Discovery Bouncing Buddies Event & Party Rentals! We're fully insured and have a state-of-the art online reservation system that will allow you to feel confident that we will show up on time with the right inflatables and concessions. Thanks for shopping with us. Please call or write if you have questions or concerns. Also, if there is a bounce house, moonwalk, fun jump or inflatable slide that you don't see (but you want) just ask. We may be able to get it for you. A mechanical bull rental can end up being the life of the party at your next event in Lafayette, Louisiana , or any other nearby area. Acadiana's favorite fun jump company, Bouncing Buddies , we provide a wide array of event rentals and have experience setting up our rentals in a variety of different spaces. Get your rodeo on today! Water Slides will always be a great attraction for any Lafayette event or celebration. These giant inflatables Water Slides demand attention wherever they go. 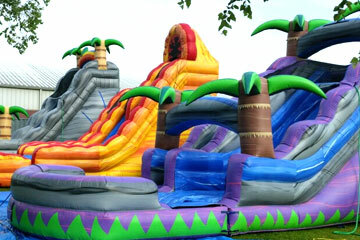 Big, bold, and colorful fun jumps, our water slide rentals will quickly become your centerpiece attraction. Just add kids and water and you'll be ready for a wet & wild time! Adding interactive fun jump games to your event line up will pump up the excitement at your next New Iberia event. These simple skill games are great for all ages, which makes it easy for whole families to participate together. 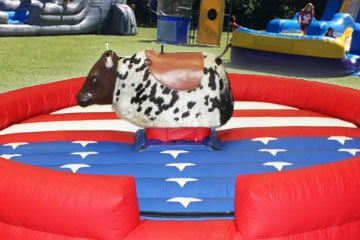 Choose from sports themes and carnival classics like our velcro wall! Click on check availability, enter event date, event time (pick the 4 hour slot that works for you) & your zip code. It will refresh the screen, it will say add to cart if its open on that date. You would then add item to the cart, add any other items you need & proceed to check out. If the item is not available, it will say sold out & your event date will be stored, you can then look for other items that are open for the date you're looking for. (Lafayette, 70508, 70506, 70503, Milton, 70555, Broussard, 70518 & Youngsville, 70592, addresses). Having your event in a park? We charge $50 to set up in a park. Add the damage waiver to your order for just 7% of your total.This covers you for any accidental damages that may occur to your rental item. We require 25% down when you reserve your rental items. We accept visa, mc, discover or american express for the 25% down payment. You may pay your balance in full when you place your order. Just let us know, otherwise we will only charge 25%. *We do get the 25% up front* If you should only pay the 25% down payment, the remaining balance is due by credit card, cash or check. The event must be canceled before 5 pm the day before the event date. Just want to thank y'all, again, for your service. The children had a wonderful time with the inflatable. Great company to do business with! I will continue to use Bouncing Buddies for every party! The Best Name In Fun Jumps Is Bouncing Buddies!